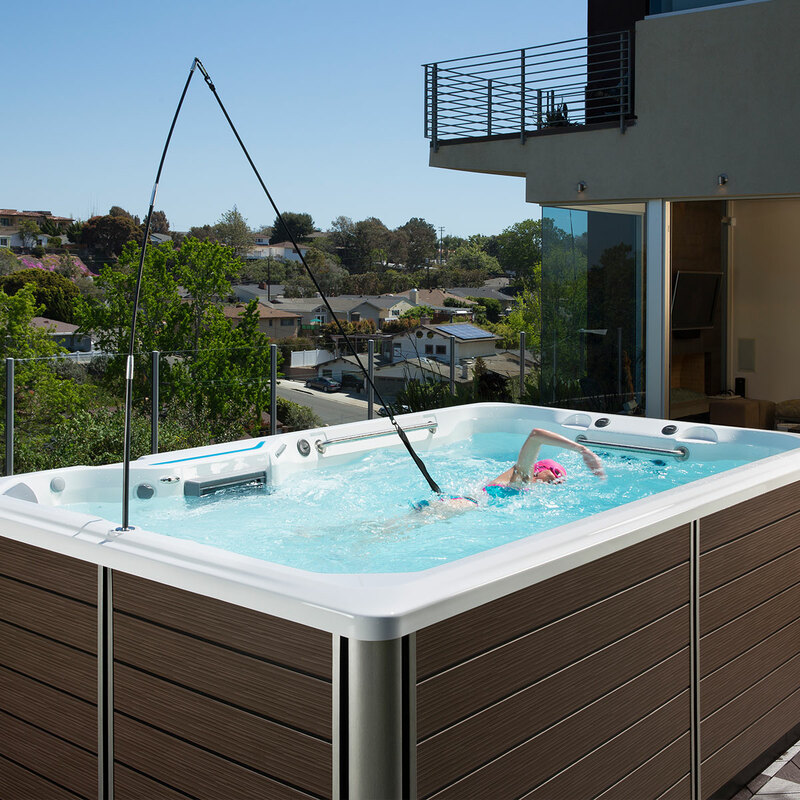 Exercise, play and relax, all in the comfort of your backyard, with the SwimCross™ Exercise Systems X2000. 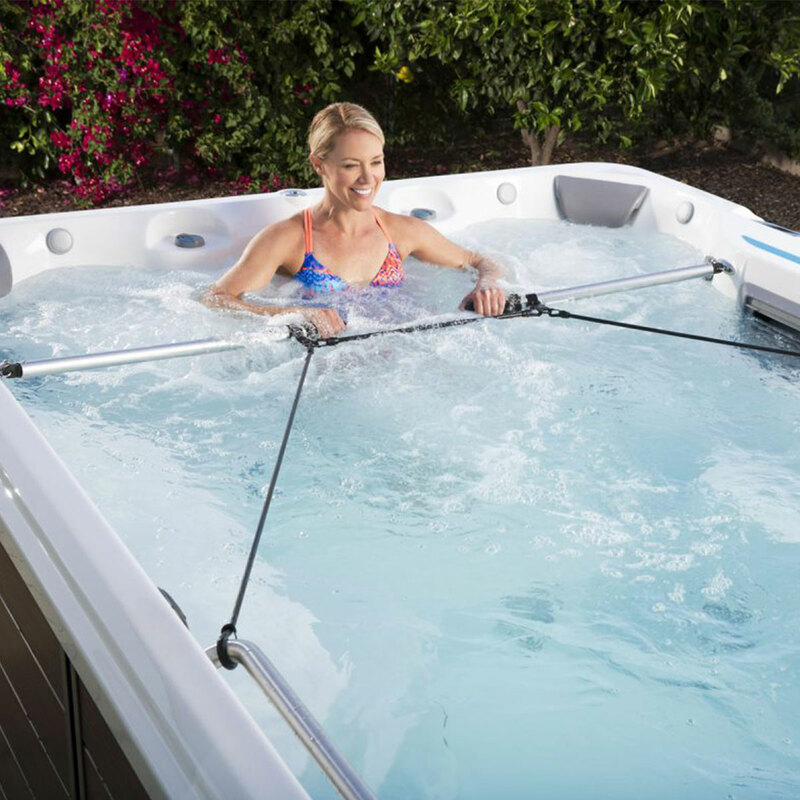 Swimming, water exercise, family time and relaxation with hot water therapy are all possible with the right temperature at the right time. 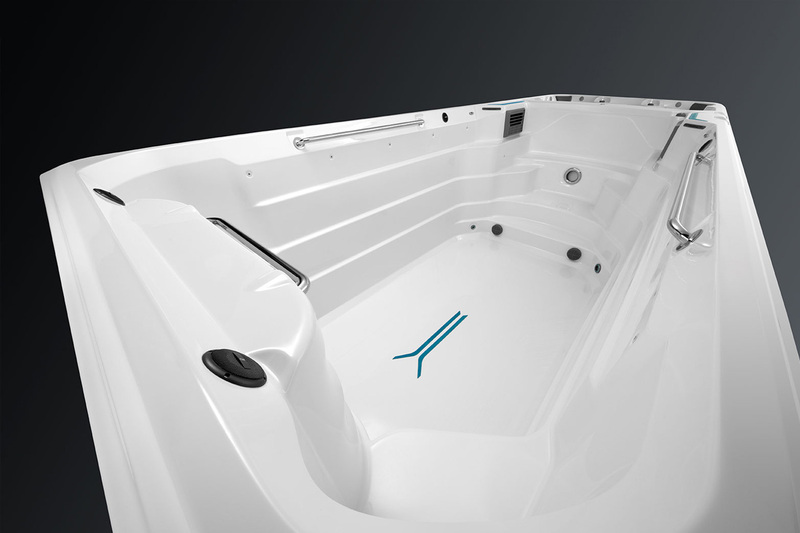 The dual-temperature X2000 boasts the largest swim and exercise area of all Endless Pools® Fitness Systems with the added benefit of a separate spa area with seating for four and independent temperature controls. 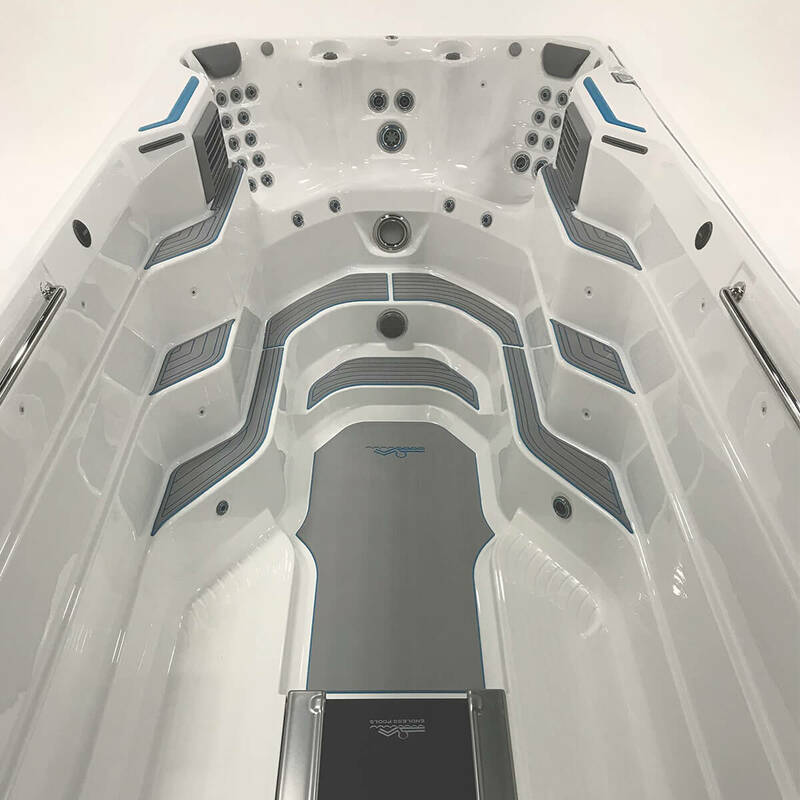 The five airless swim jets provide excellent resistance for swimming and exercise, while the sculpted spa seating with hydromassage jets pamper tired muscles after your workout. 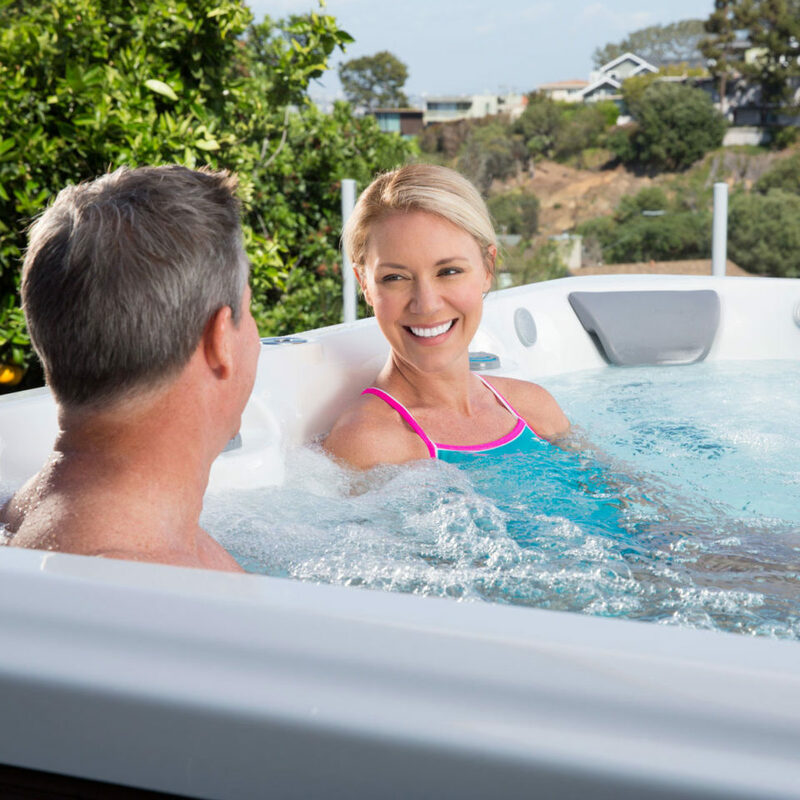 With the X2000 the opportunities for wellness at home are limitless. 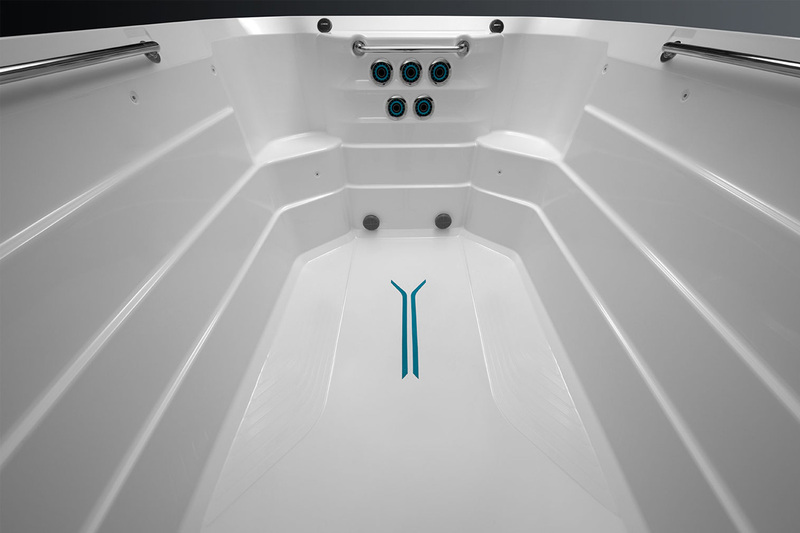 In designing the X2000, we optimized the swim side area by giving the hydrotherapy seats now have their own section. 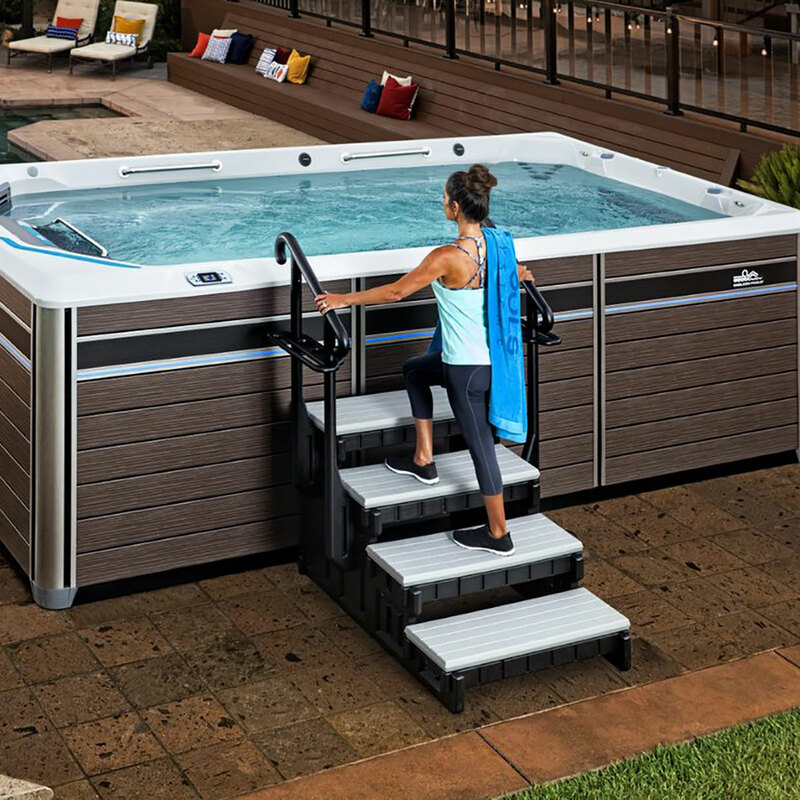 Moving the entry steps and filter to the back of the swim area provides even more space for rowing and resistance exercises. 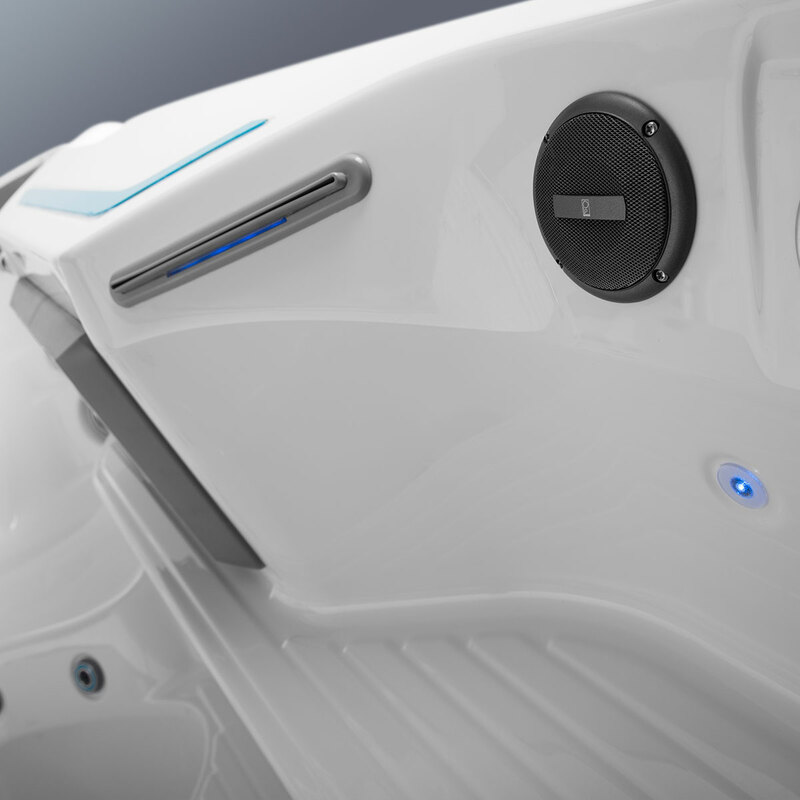 Following your workout, there is nothing like a “cool-down” in the comfort of spa seating where hydromassage jets soothe your muscles. Perfectly positioned in two captain’s chairs with pillows, plus two seats, four jet types are combined in unique configurations to deliver an ideal post-workout relaxation experience. The stunning lighting delivers maximum design impact. It’s 5” main interior light and multi-color LED points of light provide ample brilliance and beauty. The three water features are also backlit for added elegance. 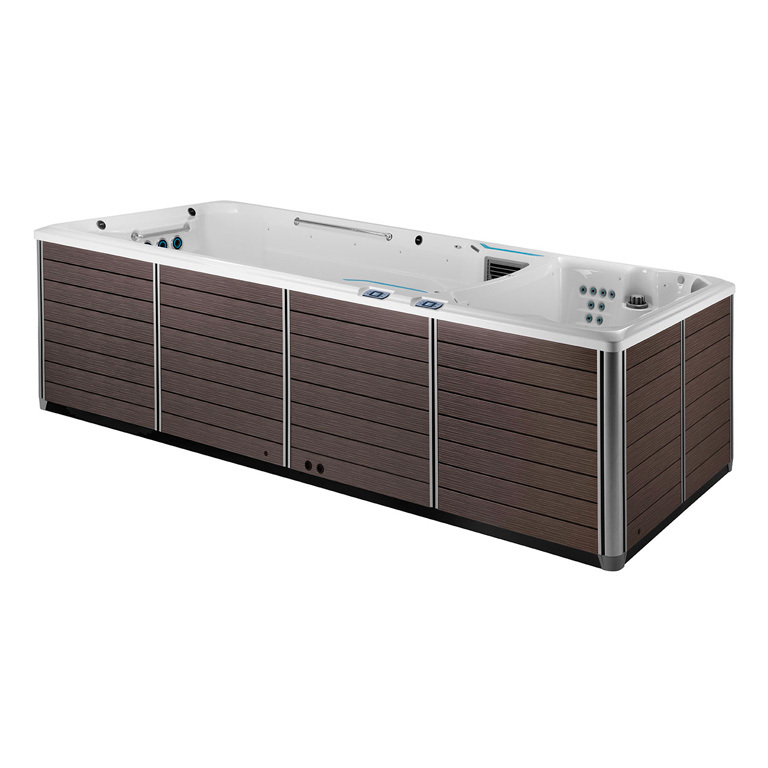 This model is built on an extremely durable, 14-gauge galvanized steel frame and ABS base pan. 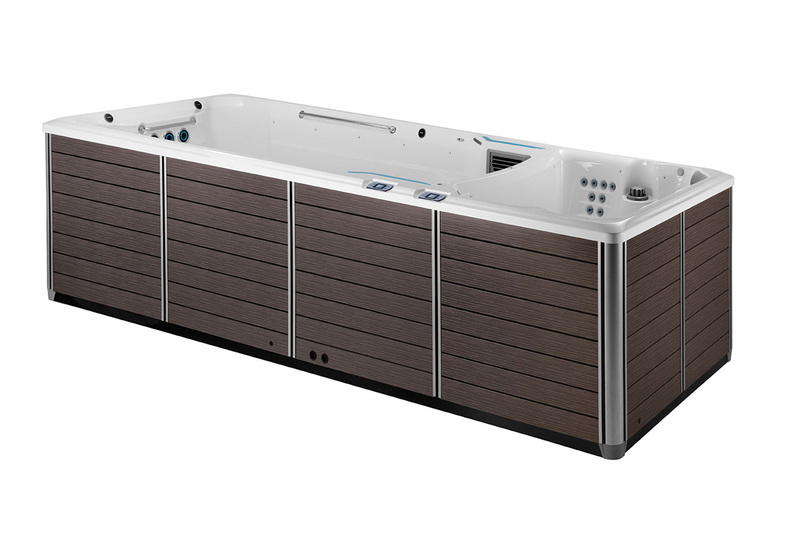 While many see this as an area to cut costs, Endless Pools went a cut above the rest by making this a standard feature. 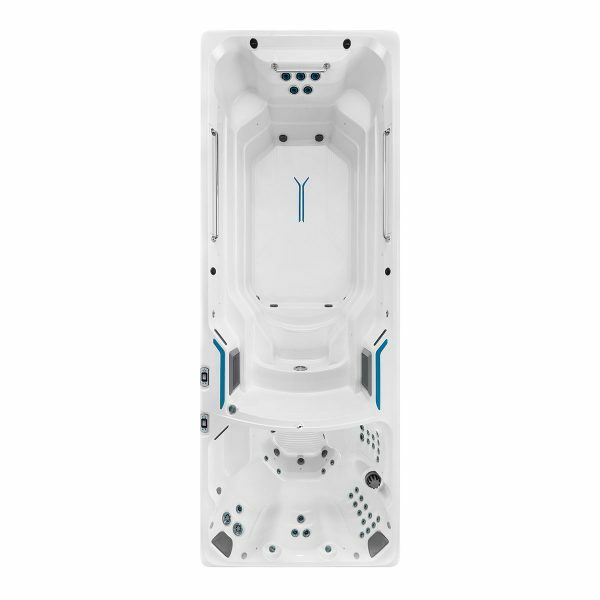 The structural elements of the steel frame and ABS base pan provide the ultimate strength to deliver confidence in ownership for years to come. 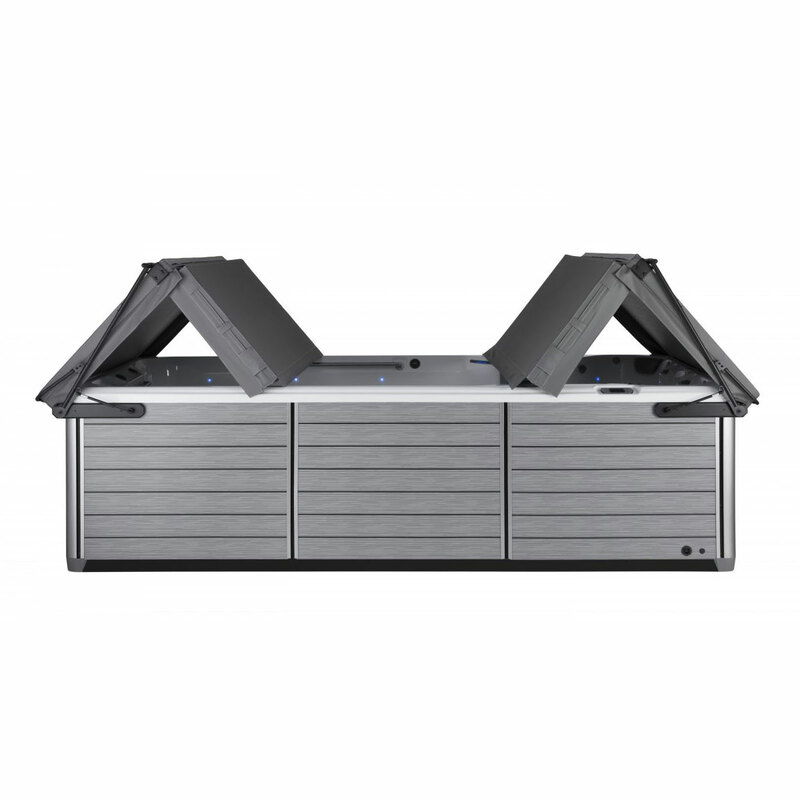 The X2000 features a dual water purification system that combines Ultraviolet C (UVC) with eco-friendly CD Ozone, commonly known as Advanced Oxidation Process (AOP), to neutralize contaminants. The continuous water rotation from the circulation pump, coupled with 200 ft. of filtration, ensures ease of maintenance and water that is always exercise-ready. 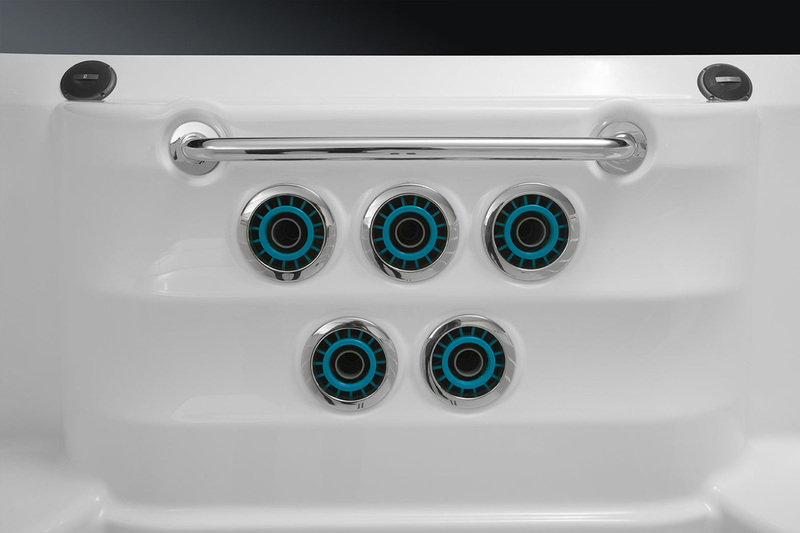 On the spa side, CD Ozone keeps water fresh. 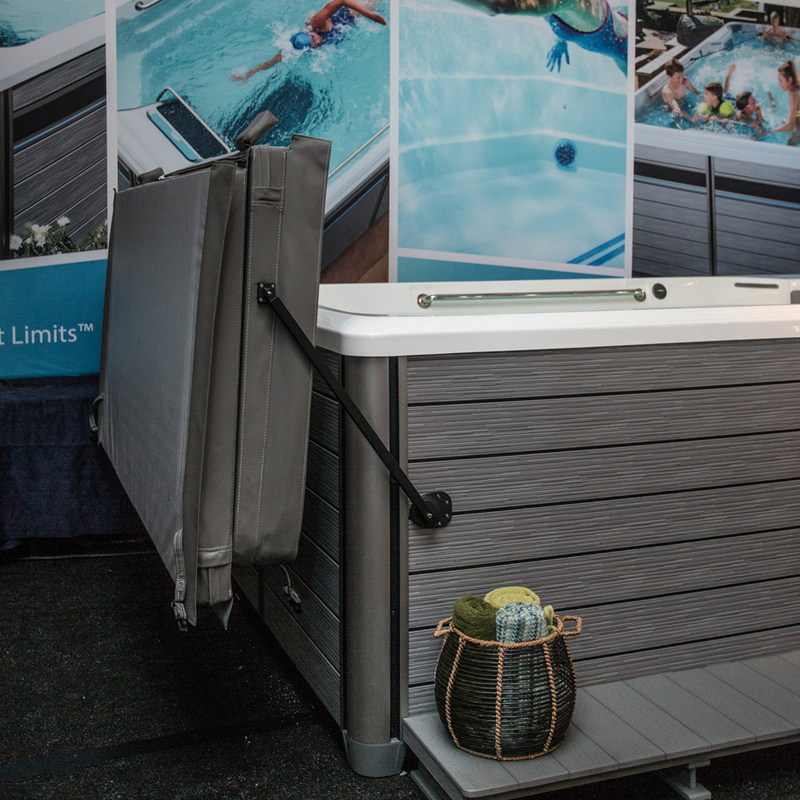 On the swim side, the Tri-Thermic™ Barrier System, a standard feature, provides three layers of insulation to conserve heat, enhance energy efficiency, and lower operating costs. The system’s three layers include a three-quarter inch, two-pound density EPS (Expanded Polystyrene) foam and reflective film attached to the inside of the cabinet, combined with a two-inch thick heat blanket made of high-quality recycled textile fibers and foil film, attached on the inside of the steel frame. Together these materials provide maximum thermal performance. 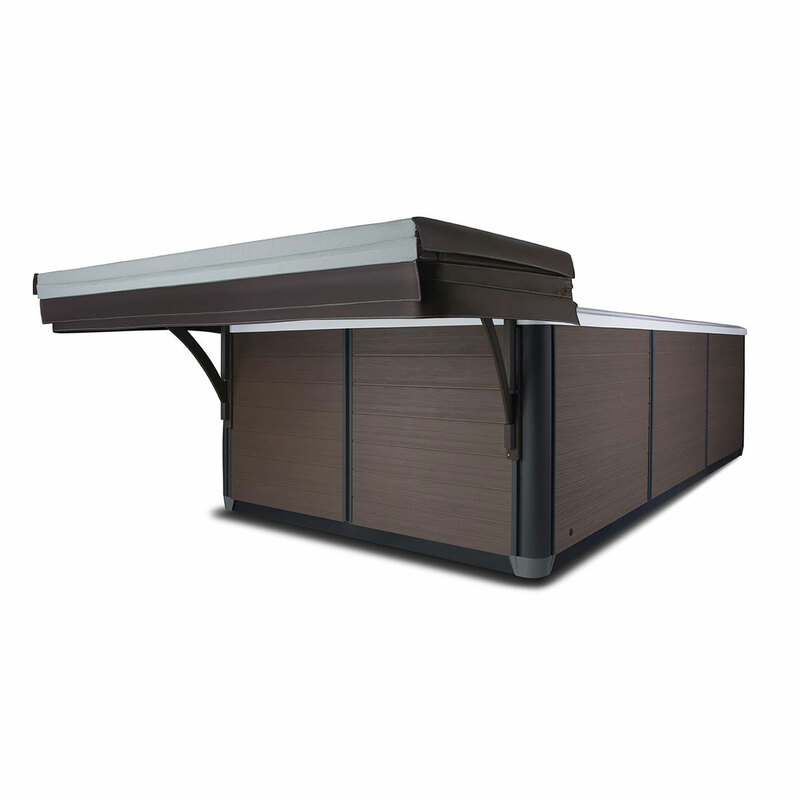 The X2000 achieves certification to current California Energy Commission (CEC) and APSP 14 National Standards and meets 2018 CEC Standards. 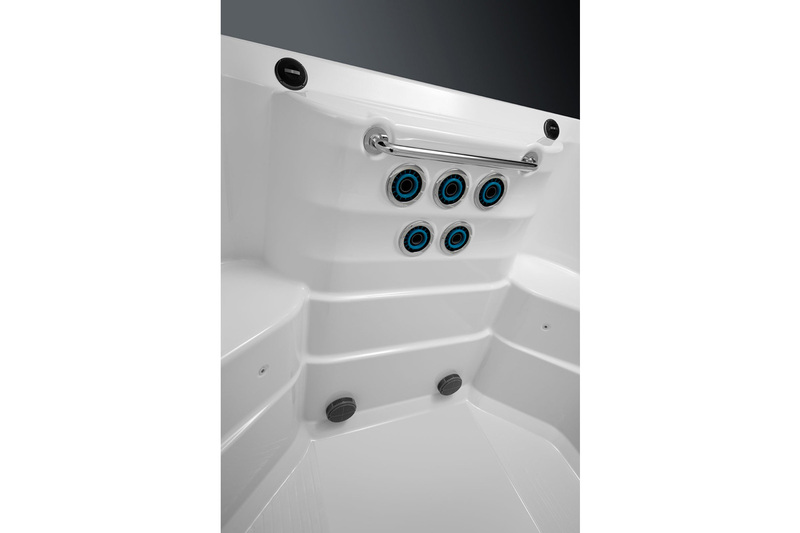 The X2000 features two LCD control panels that make it easy to navigate component controls on both side of the swim spa. 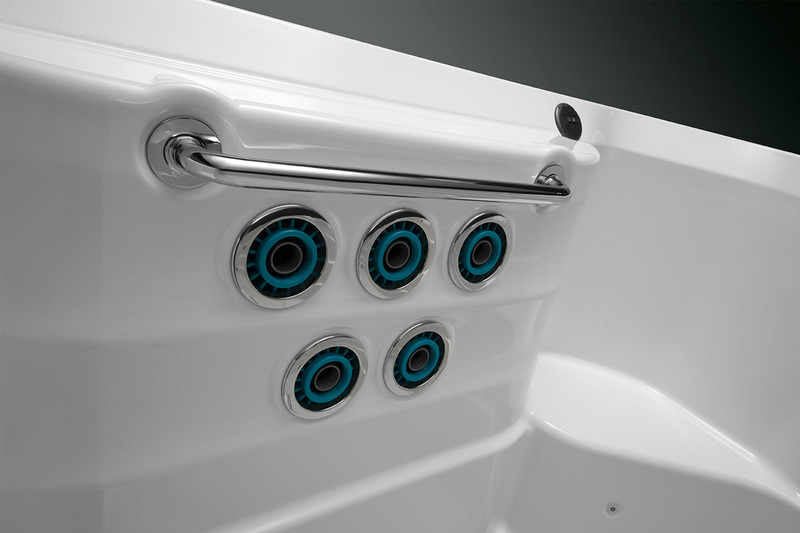 Functions include on/off, water temperature and water care management, as well as control of the interior lighting and hydromassage jets. Install the optional plug-and-play Gecko® In.Touch Wi-Fi and Mobile App and you’ll gain full control of the system’s temperature, lights and jets from any Wi-Fi-enabled tablet or mobile device. 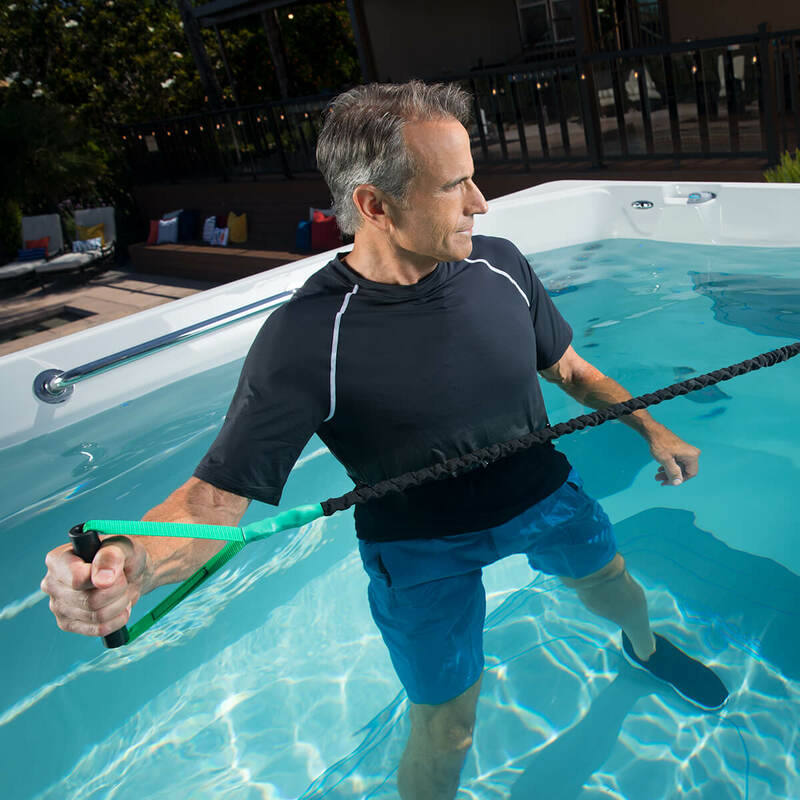 Every Fitness System is equipped with built-in anchors to attach fitness accessories including an optional swim tether, row bar set and resistance bands. 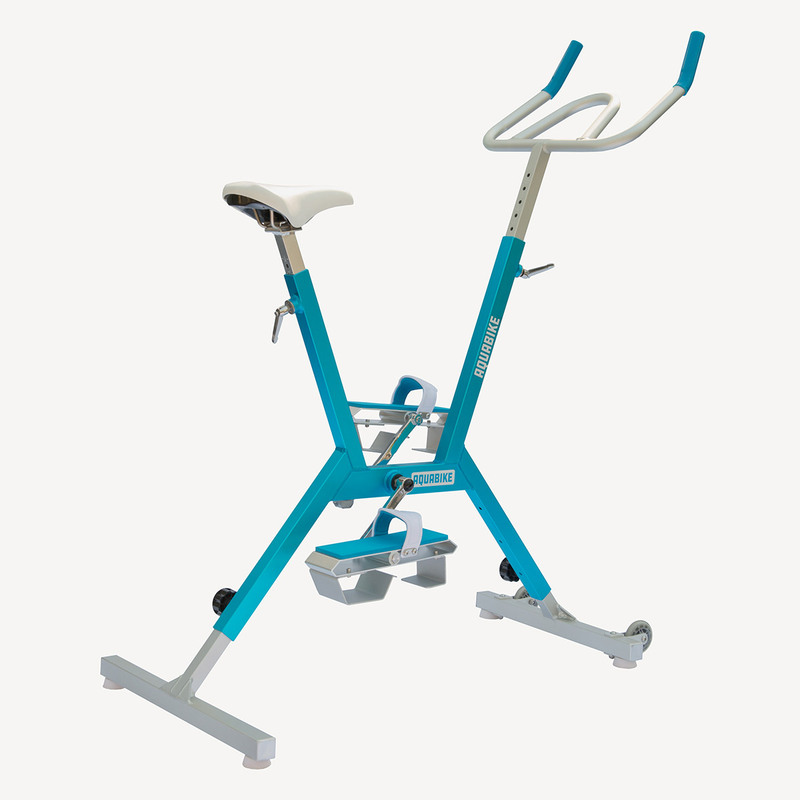 The convenient and sturdy handrails are also great for support during your resistance-training workout.